Our first Bermuda Triangle YouTube COTD is a powerful booster. 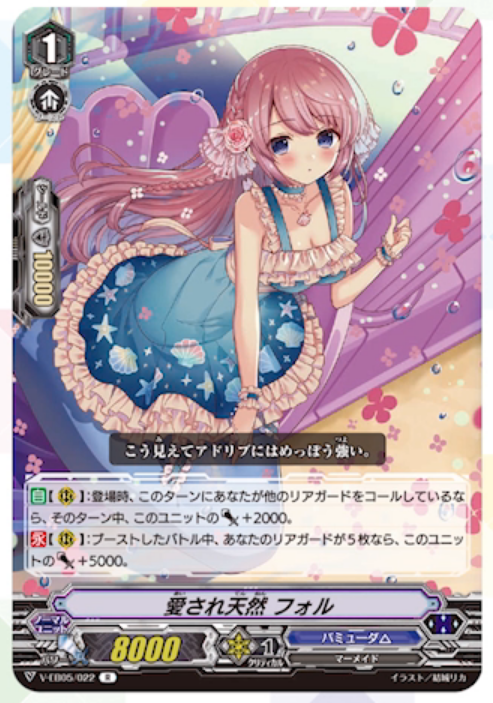 AUTO (RC) When placed, if you have called another rear-guard this turn, this unit gets Power+2000 until end of turn. CONT (RC) During the battle it boosts, if you have five rear-guards, this unit gets Power+5000.